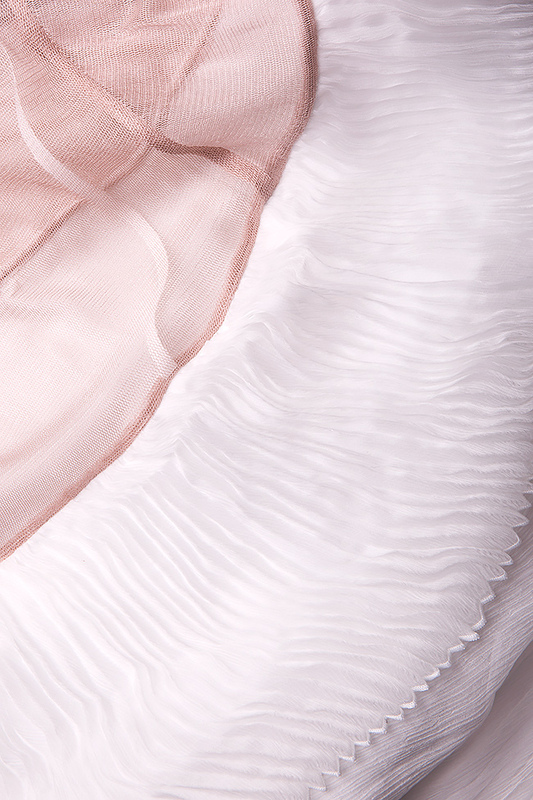 Dorin Negrau's gown is cut from delicate white silk-mousseline. 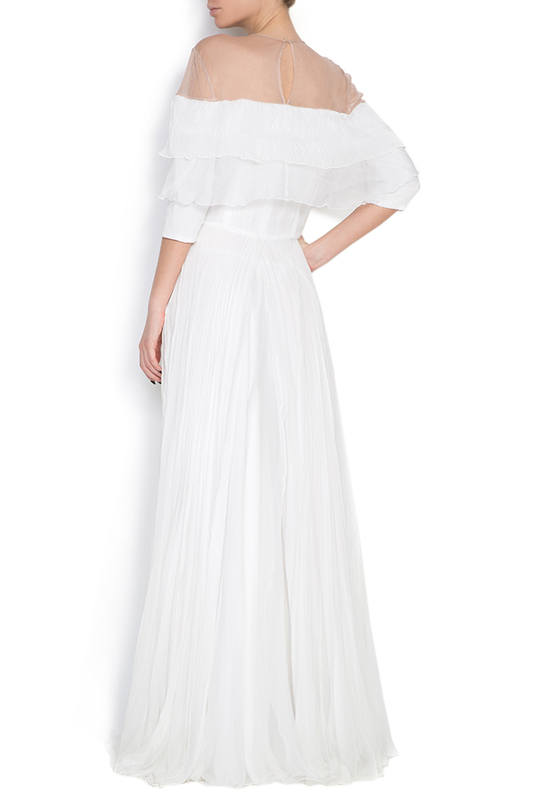 The ruffled trims and A-line skirt make it feel so light and full of movement. 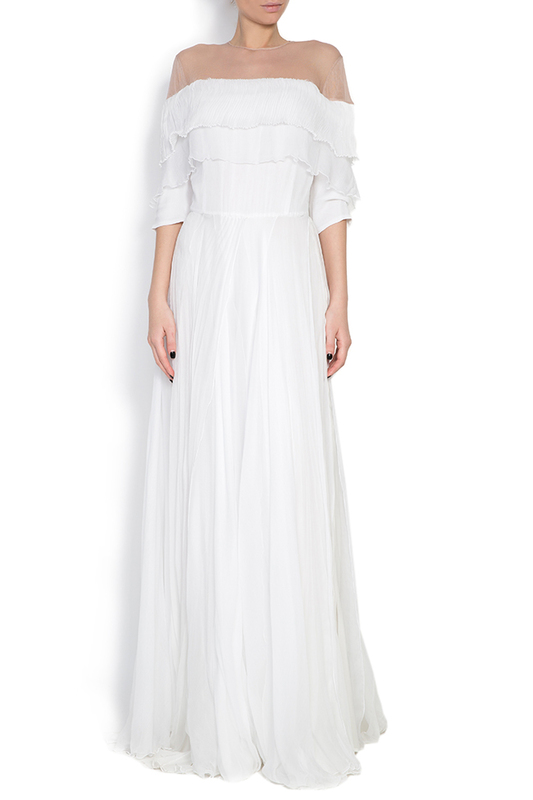 We think it's the perfect choice for brides seeking something a little more boho for their special day.